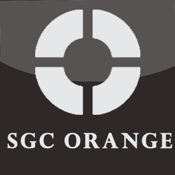 Welcome to Sovereign Grace Church Orange App. We are landmark of Sovereign Grace Church in Orange , California. 1. Read about our church's Q/A , beliefs and etc. 2. Read about Sunday services. 4. Check the Church's calendar. 5. Browse the Church's website and FaceBook within your app. 6. Find the location of the church and use your navigation to get there. 7. Contact the Church's office directly from your app , share contacts , events and news.